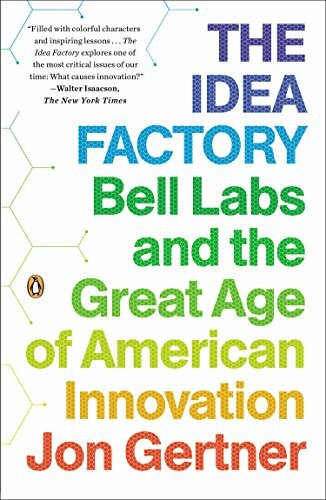 The definitive history of America’s greatest incubator of innovation, the birthplace of some of the 20th century’s most influential technologies, including the integrated circuit, the communications satellite and the cell phone. From its beginnings in the 1920s until its demise in the 1980s, Bell Labs—officially, the research and development wing of AT&T—was the biggest, and arguably the best, laboratory for new ideas in the world. From the transistor to the laser, it’s hard to find an aspect of modern life that hasn’t been touched by Bell Labs. 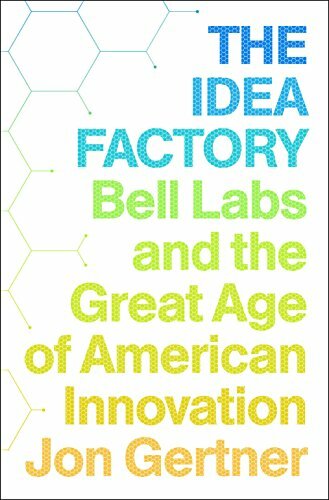 Why did so many transformative ideas come from Bell Labs? In The Idea Factory, Jon Gertner traces the origins of some of the twentieth century’s most important inventions and delivers a riveting and heretofore untold chapter of American history. At its heart this is a story about the life and work of a small group of brilliant and eccentric men—Mervin Kelly, Bill Shockley, Claude Shannon, John Pierce, and Bill Baker—who spent their careers at Bell Labs. Their job was to research and develop the future of communications. Small-town boys, childhood hobbyists, oddballs: they give the lie to the idea that Bell Labs was a grim cathedral of top-down command and control. Gertner brings to life the powerful alchemy of the forces at work behind Bell Labs inventions, teasing out the intersections between science, business, and society. He distills the lessons that abide: how to recruit and nurture young talent; how to organize and lead fractious employees; how to find solutions to the most stubbornly vexing problems; how to transform a scientific discovery into a marketable product, then make it even better, cheaper, or both. Today, when the drive to invent has become a mantra, Bell Labs offers us a way to enrich our understanding of the challenges and solutions to technological innovation. Here, after all, was where the foundational ideas on the management of innovation were born. The Idea Factory is the story of the origins of modern communications and the beginnings of the information age—a deeply human story of extraordinary men who were given extraordinary means—time, space, funds, and access to one another—and edged the world into a new dimension.